United German & French Roman Catholic Cemetery was founded in 1859. In 1982, the corporate name was changed to Mount Calvary Cemetery consisting of German & French Cemetery and Mount Calvary Cemetery grounds. The cemetery property known as Mount Calvary is located at the north end of Pine Ridge Road. The first burial in the grounds was 1925. The corporation's office is located here. 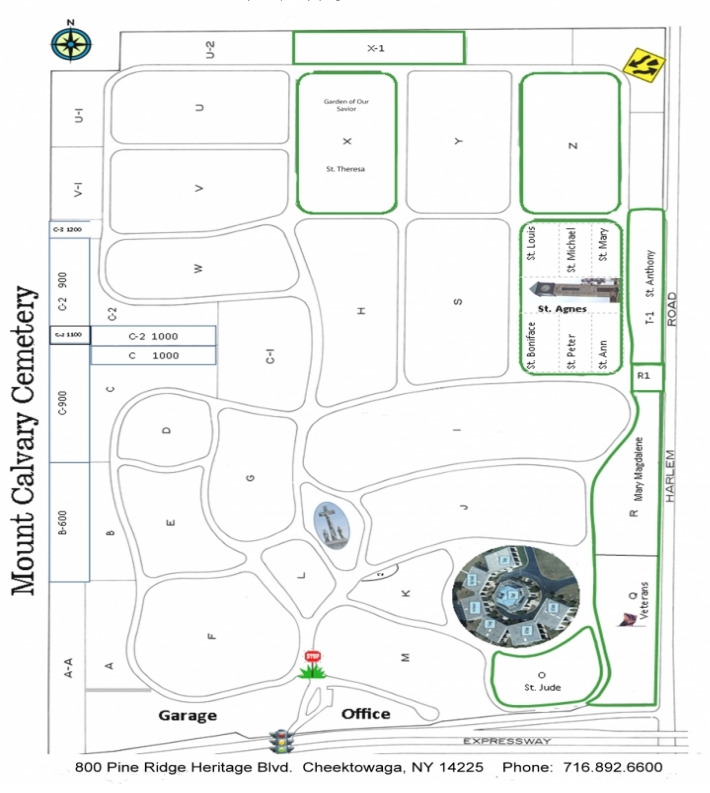 Mount Calvary offers many areas, each with different features, available for traditional earth burial for either a full casket or the burial of cremated remains. You may select either an upright monumented lot or a flat marker grave. Military markers may be placed in either our specially designated veteran section or any other flat marker grave. The cemetery has beautiful plantings throughout each section, to create a serene atmosphere. Prices range from $400 - $2,400 for a single grave and $1,800 - $5,100 for two graves. Larger family lots are also available. 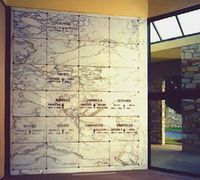 The uniqueness of these Feature Lots is in the comforting tradition of in-ground burial and the memorialization of your loved one with the "right to inscribe" on an up-right feature memorial. The memorials are all owned and maintained (including the foundation) by Mount Calvary Cemetery. This Garden was created for families that choose cremation as the final disposition, but still want the beauty, reverence and permanence of a time-honored tradition. Prices range from $900 and up. Designated and created to meet the memorial needs of a family whose loved one has not been placed within a cemetery. The first name, middle initial and last name of your loved one will be inscribed on a Memorial Tribute. Names will be inscribed two (2) times a year, once in April and once in the month of September. Niches for cremated remains leading to and surrounding the Mary Magdalene Monument in Section R of Mount Calvary Cemetery are available at $1000 each. Mount Calvary Cemetery has a distinctive heritage of caring for those who have died which dates back to the 1850s. 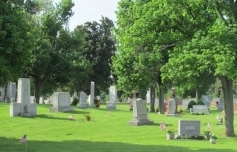 We have provided the final resting place for many generations in a beautiful tranquil setting. While many people choose traditional ground interment, many are looking for something more. 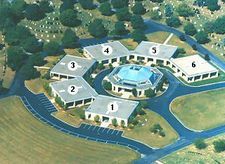 One of the ways in which Mount Calvary addresses these needs is with mausoleums. A mausoleum provides a variety of final resting places. The choice of single or double crypts, interior or exterior spaces and the ability to memorialize in a niche if cremation is preferred. The crypt facades present a uniformly handsome appearance. A controlled environment provides comfortable year round visitation. The crypts are clean, dry, and constructed of steel and concrete. The reinforced, poured-in-place concrete is designed to endure through the ages. A crypt front sealer fits snugly into its carefully constructed recess which is permanently sealed. After entombment, the marble front is attached over the sealer by hidden brass pins for interior crypts and decorative brass bolts for exterior crypts. Thus the crypt facades present a uniformly handsome appearance. The name and year of birth and death are affixed to the crypt front for interior entombments and insized into the granite fronts for exterior crypts. The garden mausoleums are finished in red granite and all six mausoleums are protected from inclement weather. The center chapel also contains memorial crypts. These distinctive white marble crypt fronts feature book matched grain throughout and the interior of the chapel is in a regulated temperate atmosphere. 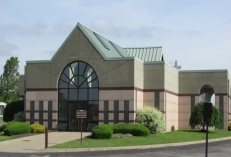 The Crucifixion Mausoleums are named because they are situated on either side of Mount Calvary Cemetery's focal point, the Crucifixion Chapel. The shrine is the namesake of, and tribute to, Mount Calvary Cemetery. These two beautiful granite-faced buildings are also a tribute to those who will use it as their final resting place. The Crucifixion Mausoleums offer both single and double crypts, including exterior and interior spaces. All interior crypts have a bronze vesper light attached to the marble crypt front that are lit upon entombment. Distinctive bronze lettering from Italy is attached to the marble indicating the name and dates of the deceased. A selection of bronze emblems are offered for purchase and use on the individual crypt fronts. The buildings feature an African Red Granite exterior and internally are finished with imported Crema Oriette Marble. The floor plans form a cross which align with the Shrine. The windows offer a total view of the Shrine which is visible straight through the Mausoleums. Comfortable chairs are provided for visitor convenience.